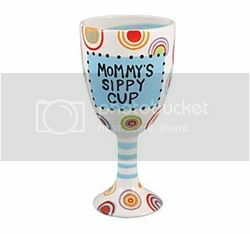 A lucky Celebrity Dirty Laundry reader will receive a "Mommy’s Sippy Cup" from Edible Gifts Plus, a $22 dollar value. The cup ha s been featured on Rachael Ray, Redbook, Tori & Dean, Star Magazine and many more. 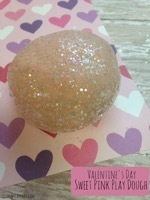 EdibleGiftsPlus.com is THE sought after online gourmet gift source. With delicious creations such as Choc Stix (chocolate covered chow mein noodles), photo brownies & cookies, Belgian chocolate pops, giant fortune cookies and chocolate dipped oreos, EdibleGiftsPlus.com treats are perfect for any special celebration including weddings, anniversaries, birthdays, baby shower’s et al . Edible Gifts Plus has had the honor of catering Tori Spelling’s daughter’s birthday party as well as actress Gabrielle Christian’s wedding. They are also offering a special 15% discount to any CDL readers just go to their website and use the code CDL15 to get the discount. Meanwhile, don’t miss the opportunity to win this gift for the hardest working woman on the planet. Fill it with the right stuff – your favorite beverages or even comfort foods like candy and ice cream. Get a set for your card group, or your game club, the girls who you regularly get together with and you can all commiserate together after a stressful day. To enter send an e-mail to contests@celebdirtylaundry.com with the title "Sippy Cup" by January 11th, 2009. Be sure to include your name and address in the e-mail. The winner’s name will be posted January 12th, 2009.